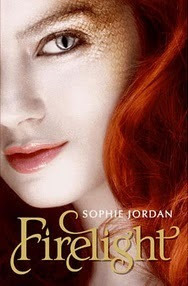 With her rare ability to breathe fire, Jacinda is special even among the draki—the descendants of dragons who can shift between human and dragon for...more With her rare ability to breathe fire, Jacinda is special even among the draki—the descendants of dragons who can shift between human and dragon forms. But when Jacinda’s rebelliousness leads her family to flee into the human world, she struggles to adapt, even as her draki spirit fades. The one thing that revives it is Will, whose family hunts her kind. Jacinda can’t resist getting closer to him, even though she knows she’s risking not only her life but the draki’s most closely guarded secret. I love YA fantasy, and I love dragons, so this book sounds amazing to me. The idea behind the story sounds very original to me, and like a new take on dragons. And don't forget, if you enter my 100 followers giveaway, you could win a pre-order of this book! I can't wait to read this either! I am signed up for a tour for this book. Can't wait. I can't wait to read this book either. It seems soooooo good! !